CES is just a week away, and the technical press speculates that this will be the year of the tablet. Last year, eBook readers were abundant, but they were largely overshadowed by 3D TV hype at every turn. But this year, Apple really stuck a thorn in the industry’s backside, and now everyone’s trying to catch up. Take 1 (2002): Tablet PC. 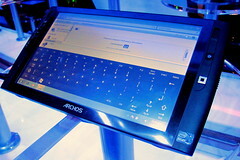 Microsoft Introduced the Tablet PC platform on a variant of XP, Windows XP Tablet PC Edition. Consumer devices were essentially convertible laptops with a stylus, though some keyboardless slate devices were also produced. These never gained wide adoption in the consumer space, though hardened builds for industrial applications still survive. The touch and writing capabilities required for tablets were absorbed into later versions of Windows, but otherwise this platform is largely dead. 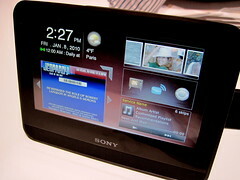 Take 2 (2003): Smart Display. Microsoft tried to tap into the casual home use market with the Smart Display, which essentially extended your existing Windows PC to anywhere in the house. This underpowered (Windows CE) keyboard-less touch panel created a remote desktop connection to your PC over your wireless B [only] network. It was hefty, had limited media capabilities, and prevented anyone else from using the PC while the display was in use. It lasted about a year until Microsoft killed it. Take 3 (2006): Ultra-Mobile PC (UMPC). Intel and Microsoft teamed up to introduce the Ultra-Mobile PC, or UMPC, as an alternative to a full-fledged laptop for light-duty media, social, and gaming activities. Dubbed “Origami” by Microsoft, the devices ran Windows with an added skin layer optimized for touch on the small screen. Usability issues, poor battery life, and general market confusion prevented these devices from gaining any serious ground. Take 4 (2010): The Slate. At 2010’s CES keynote, just weeks before Apple was expected to announce their new tablet product, Ballmer tried to beat them to the punch by announcing the HP Slate, running Windows 7. It was clearly a media stunt—the device wasn’t ready for production, and everyone soon forgot about it after the iPad was announced, even though industrial devices finally hit the market by the end of the year. The general consensus from the press and the industry, as proven by Apple, was that retrofitting a full-blown desktop operating system for tablet use just doesn’t work. So I have to wonder: what’s it going to be this year? The heat is on in the tablet space now that Apple has established the iPad as the de facto device and Android tablets are in nearly every corner store. What’s it going to be this year, Steve? I’m hoping for a device loosely based on the (poorly named) Windows Phone 7 platform. It’s time to give up on the desktop Windows OS as a mobile platform. It just doesn’t work. With Google throwing its unexpectedly pricey hat into the TV set top box business, I grow ever more frustrated by a move that I just don’t understand: Apps on the TV. Apps give content owners and distributors an opportunity to offer branded, custom portals to their content. Yea for them. But that’s not what I want, and I question—despite all of the tech media hype—if it’s what the masses want. I don’t want to hunt for shows that interest me in a bunch of different applications. Will I find How Your $#*! Got Outsourced in the CBQ app, the Buena Brothers app, or the huFlix app? Why does it have to be in any of them? I just want to watch the damned show. I don’t care who claims the digital streaming rights to it, and I sure as Hell don’t want some heavily-branded experience wrapped around it. 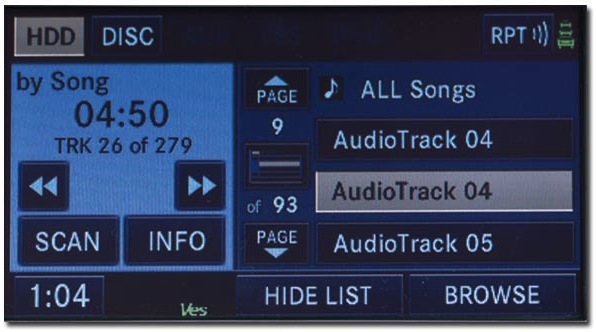 I don’t want a different library browsing, selection, and playback experience from show to show or app to app. I just want to watch the damned show. Oh…and I don’t want another accessory on my coffee table: a keyboard. (TiVo: I think you nailed this one). What we need is an aggregator. I want to see a service and/or device that can pull together all of the digital content available to me and make it navigable and discoverable (and even purchasable) in meaningful ways. Include the stuff I own, the stuff I can buy, the stuff I can or have recorded, and the stuff available to stream freely; but don’t throw up walls between those acquisition models. Let me search and browse across all of that content. Slice it up and group it in different ways, using robust metadata beyond just genre and network. I still want to browse by network, too, because that’s still a logical association, but define network more broadly than just what you find on your cable box, and include YouTube channels and Internet-only content, like CNET and Revision 3. Boxee tries to do all this, but it’s still too disjointed, and the UI is overly complex. Apple TV—the old Apple TV—did it fairly well, but its appeal is limited to consumers who have bought into the walled iTunes media garden, and the entry price was too high. Hulu and Netflix both get partway there, but their content is limited by distribution rights that are governed by frightened license holders and greedy attorneys. TiVo teased this with Premier but didn’t deliver, and the Roku box is fundamentally designed around the concept of apps. It’s a tricky issue, because the content rights holders want to paint their colors and logos all over the place, and then get out their rulers. Everyone wants to do their own thing, but ultimately that makes it harder for consumers to find and consume content. Ironically, this thwarts the content owners’ opportunities to distribute and monetize their content. So the big question is whether Google can pull this off. They have the expertise in content aggregation and discovery, but Google’s user experience record is underwhelming. The solution needs to be simple, powerful, and engaging. And the price point needs to be right. So far, the $300 Logitech set top box and $1300 Sony television with baked-in Google TV have missed that mark. That said, I’ve already pre-ordered the Revue, so I’ll know soon enough. Unless you’ve been living under a rock for the past week or so, you probably can’t have helped but notice that this Saturday marked the release of Apple’s new mobile tablet device, the iPad. With the iPad, Apple tries to break open a market segment that major market forces, like Microsoft and Intel, have been unsuccessfully trying to crack for years. Microsoft alone has made no fewer than four attempts at defining mobile tablet/slate platforms, including the Tablet PC and the dead-on-arrival UMPC (“Origami”) devices. So what makes Apple think that the iPad will succeed where so many others have repeatedly failed? There’s a vocal contingent that believes a market for this type of device just doesn’t exist. There’s also a contingent that’s intensely opposed to the closed model that Apple typically imposes on its products and services. And, of course, there’s the sin-of-all-sins: it doesn’t support Flash (a shared character flaw that the iPhone and iPod Touch have somehow endured). With all of this stacked against it, things don’t look so good, do they? I don’t think I can remember any product that’s been so divisive and polarizing as the iPad. The haters and the fanboys alike have been all up-in-arms, way before anyone had actually seen or used the damned thing! Professional colleagues of mine—people I greatly respect—have been nastily slamming the product on Twitter and on their blogs. When I asked Molly Wood, one of my favorite CNET editors and tech pundits, whether she’d be buying one, I believe her response was, “Hell, no.” Meanwhile, others claim the iPad will change everything. Having tried (and ultimately retired) several early tablet devices, there was no doubt in my mind that I’d be buying an iPad. The only question was “which model?” I deliberated for weeks over whether I’d be buying the WiFi-only version released on April 3 or the WiFi+3G model, which wouldn’t be available until “Late April”. After much personal waffling and some poignant feedback from the Twitter community, I pre-ordered the one with 3G. Then, last week: the media frenzy. News reports, reviews, magazine covers, and even an entire episode of Modern Family heralded the new device. My clients were talking about it and posting links to review sites. My mother—who’s never used email or the Web in her life—was asking me about it. Then the lines started forming. In Palo Alto and New York City, people were queueing and preparing to camp overnight. I just couldn’t take it anymore—I had to have one, and I couldn’t wait until “late April” to get mine. There’s a secret to buying a new Apple device on the day it’s first available: arrive at the Apple Store a few hours after the store opens. While my local Best Buy didn’t have the product available in time for their store opening, the Bethesda Apple Store had enough stock to still be selling to customers arriving at 11:00 a.m. It’s not that there wasn’t a line—there was. But the Apple Store staff was friendly, organized, and efficient. They served breakfast bars and snacks while customers waited, regularly surveyed the line to see if their supply would meet with the demand, and let people know which models were still available all the while. I arrived at 10:30, I was in the store by 10:45, and I left the store at 10:49 with iPad, dock, and case in tow. Meanwhile, the Geeks at Best Buy were claiming that they didn’t get their 30-unit shipment. There’s a common (and not necessarily inaccurate) belief that the iPad is just a big iPod Touch. People accuse the product of this quality, as if it’s a bad thing. Why is it a bad thing? With an iPhone or iPod Touch, you can surf the web better than on most mobile devices; read and compose email; manage your calendar; find nearby restaurants with available seating; get directions; listen to music; buy and watch video and movies; control your a/v and home automation system; read books; and thousands (maybe millions?) of other things. Imagine all of that on a larger screen. Imagine scrolling through web pages at their full resolution. Imagine reading email on a full-size screen and composing messages with a full-size virtual keyboard. Imagine reading maps or watching movies and TV shows on that same screen. Imagine the iTunes Store looking like, well, the iTunes Store. Imagine the pages of an eBook that look and behave just like their analog counterparts. Then think about what else you could do with all that real estate…. You could edit documents, slides, and ledgers; you could draw…or paint; you could play board and table games; you could read the comics or the entire newspaper; you could blog; you could present; you could play a musical keyboard; you could use it as a digital picture frame. With more than double the screen space in both dimensions, the possibilities are likely an order of magnitude greater than on Apple’s earlier, smaller mobile products. So clearly I like the idea of a big iPod Touch. Enough so that I bought the iPad. I think it holds promise and opportunity. I think it’s useful—far more useful than the tiny, clunky netbook sitting in the corner of my TV room. I don’t have to unhook the iPad from it’s charger (it docks); I don’t have to turn it on and wait for it to boot or resume; I don’t have to struggle with its tiny track-pad; I don’t have to recharge it after just three hours of use; I don’t have to dig it out of my bag at airport security (or do I?). Spend five minutes with the iPad, and you’ll find that it delivers everything it offers. The screen is clear and beautiful. I was leery of the seemingly low 1024 x 768 screen resolution, but it delivers bright, crisp, clear images. Get over the somewhat reflective, glossy finish (because that’s just how screens are designed now), and you’ll find that the LED backlight is more than adequate to adjust for both interior and exterior lighting conditions. Slide, flick, and pinch with your fingers, and you’ll notice graphic processing that is immediately responsive unlike anything you’ve ever seen on a mobile device. In fact, you may not notice it at all—it just works and reacts like you’d expect it to. If you know how to use an iPhone or iPod Touch, then you’ll know how to use the iPad. But it’s bigger and faster. 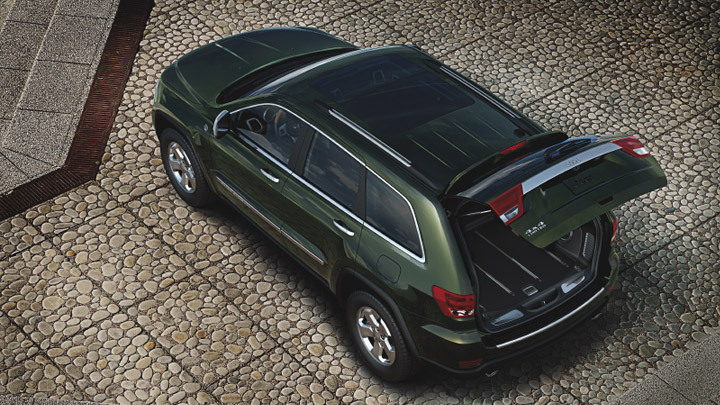 The built-in applications take advantage of the iPad’s impressive processing speed and large display area. Viewing and manipulating maps, including Street View, is smooth and instantaneous. Calendars look like they belong on your wall or desk. And video…I’m not even quite sure how to describe video playback on this thing. It’s gorgeous. HD video can be purchased on or synched to the iPad, and the display quality and rendering is flawless. The iPad’s virtual keyboard may take some getting used to if you haven’t used an on-screen touch keyboard before. While I aspire to touch type on the keyboard in landscape mode, I’m finding the portrait-mode keyboard easier for hunt-and-peck typing. If you’re familiar with the iPhone’s soft keyboard, you’ll be pleased to find that the iPad adds basic punctuation to the main keyboard. And if you’re thinking of doing any heavy-duty typing, you can add a docked or Bluetooth keyboard—a feature missing from the iPhone and iPod Touch. In addition to everything else, the iPad is a book reader—an excellent reader. Both Apple and Amazon have released free reader apps, giving you access to a vast library of eBook content for purchase, including your existing Kindle library. And, of course, you have access to your entire Audible library in iTunes as well. What makes the iPhone OS devices most useful and exceptional is the enormous collection of applications available in the App Store from Apple and third-party developers. Out of the box, the iPad can run and sync with most iPhone apps, but don’t get too excited about that. While they may technically function on the larger screen, iPhone apps running in the 1X and 2X magnification modes are far from ideal. At 1X, apps seems sorely lacking, while the 2X mode looks blocky and over magnified. And unlike all other iPad functions (including the OS itself), iPhone apps won’t work in landscape mode unless the app is written to support it. So what about apps specifically designed for the iPad? Well, there’s good news and bad news there. Technically, Apple has only been accepting iPad apps for a little over a week, so the store and the apps it contains are pretty young right now. And that’s the nicest possible way I know how to say that I hope (and expect) it will get better in the coming weeks. Apple’s own iWork apps are quite impressive, and at $10 apiece, they seem to be setting the baseline against which all other heavy-duty iPad apps will get measured. Meanwhile, the Omni Group introduced OmniGraffle for the iPad at nearly $50 in the same week that WolframAlpha was re-introduced for iPhone and iPad at just $2. Clearly the market will need to work out an optimal pricing model, just like it did for iPhone apps. I bought WolframAlpha, and I’d buy OmniGraffle at $10, but there’s no way in Hell that I’ll spend $50 for it. Period. If there’s any doubt about whether Amazon prioritizes distributing content or product, the Kindle app for iPad should put that to rest. In fact, you can rest assured that your investment in Kindle content is safe and ready for your iPad in a reader that rivals Apple’s own iBooks app. Netflix garnered significant attention last week for introducing an iPad app that would play content from your instant queue. The reality is that the Netflix “app” is nothing more than the Netflix web site, reworked to render video in a device-compatible format. It’s nice that it’s there, but it’s a rudimentary proof-of-concept offering, it’s buggy and sluggish, and some basic site features—like rating titles and reordering your queue—don’t work at all. Hopefully they’re planning something better for a future release than just throwing an HTML5-ish version of their site into a browser control. The ABC Player is a gorgeous and intuitive portal to the network’s online streaming content. That’s the good news. The bad news is that every time I’ve tried to play a video in the app, it crashes. The Weather Channel’s TWC MAX+ is an impressive, visually-engaging aggregator of weather information, including forecasts, maps, and local information. My only complaint is the entirely useless home screen that presents nothing but a top-level view menu. Epicurious is a gorgeous and intuitive cookbook with shopping list features and another beautiful but otherwise entirely useless home screen. BBC News delivers updated news stories and videos in an easy-to-use and easy-to-read format that’s optimized for the larger screen of the iPad. The ever-present Evernote is now available for the iPad, and it looks and works pretty much like you’d expect. These guys get how Apple users think and work. Now Playing is an iPhone movie information and showtimes app that’s been ported to the iPad platform. Their approach: make it wider. No, seriously…that’s all this app seems to offer over the iPhone version. They’ve done absolutely nothing to flatten their application hierarchy (as Apple’s iPad UI Guidelines recommend) or otherwise take advantage of the additional screen space. HomeSeer’s HSTouchPad is pretty much what it sounds like—a touchpad app for HomeSeer home automation software. Unfortunately, it would seem that HomeSeer’s developers didn’t even bother to skim Apple’s iPad Human Interface Guidelines. Users would be better off running HomeSeer’s amateurishly-designed web app in Safari. Google’s popular suite of web-based cloud applications—including Gmail, Calendar, Reader, and Docs—is iPad ready! Just fire up Safari and go. My recommendation to the team responsible for the Zillow real estate app, recently rereleased to support the iPad: go back to the drawing board. Seriously. So the iPad is here, and I have one. On initial inspection, it doesn’t seem to be an enormous failure, nor can we yet conclude it’s the game changer that many have suggested (and I believe). That’s the objective perspective. My more subjective opinion is that it’s a pretty damned amazing device, and I suspect that mine will become a common appliance around the house, on the coffee table, and in my travel bag. Some things seem clear: iPad v 1.0 makes many productivity, entertainment, and general computing functions simple and enjoyable—but there’s still room for improvement. Hardware alone cannot make this market segment successful. Developers must improve their software offerings, the app market pricing must rationalize somewhat, and Apple will likely evolve the iPad hardware over coming years. Frankly, I can’t wait. Companies showed their wares at this year’s CES, and I spent just two days on the show floor, trying to see as much as I could. Disappointingly, I was hard pressed to find DVRs or any tru2way devices, but there were plenty of other media, mobile, and computing devices to ogle. Here are some of my favorite finds. Microsoft was showing off the device compatibility and media sharing capabilities of its Windows product line. 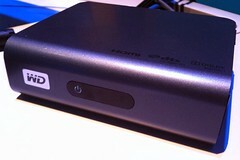 This may Western Digital box may look like an ordinary external hard drive, but it’s not. The Western Digital TV Live is a networked, DLNA-compliant device that lets your TV stream video content from the Internet or from your own home network—at 1080p. And it works as a Play To destination for media on your Windows 7 PC. Connect it to your TV and audio systems with HDMI and S/PDIF or with analog component video and audio out. You can also piggy-back up to 2 external USB hard drives for local media storage. 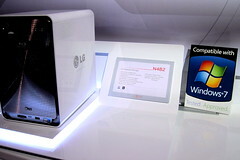 On the server side, LG was showing off Windows 7 certified networked storage devices, including a new Super Multi NAS with Blu-ray re-writer drive. This DLNA-compliant, multi-terabyte server can stream media to players throughout your home, and Blu-ray storage gives you true, lifetime backups for removable, offsite archives. In what clearly came across as a pre-emptive “me too” move, Microsoft showcased tablet devices—most of which don’t exist yet. This rare exception, the Archos 9, does exist. $550 gets you an 8.9″ touchscreen Windows 7 tablet running the Intel ATOM 1.1 GHz processor. It’s a beautiful device, but at 17mm thick, it seems bulkier than it should and evokes memories of Origami. This is, in fact, Microsoft’s fourth attempt at a portable, touchscreen device (following, the Tablet PC, the SmartDisplay, and the UMPC). Sony’s new Dash is a tabletop Internet device for the home that looks strikingly similar to one of Sony’s newer digital alarm clocks (snooze button and all). It’s actually a Chumby in a new suit that—perhaps not coincidentally—can double as an alarm clock. It features a clever design and an accelerometer that flips the screen when laid on its back. It will be interesting to see if people are willing to shell out about $200 for tabletop widgets when this thing comes out. How do you charge your phone or portable device when you already have two things plugged into the only nearby outlet? Powertech proposes a new solution to the problem: piggy-back on something that’s already plugged in. 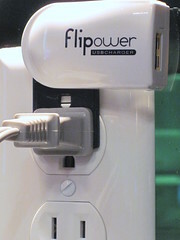 Just slip the flip-out tongue of the Flipower USB charger over the prongs of your lamp, alarm clock, or whatever, and plug it back in. Voila! 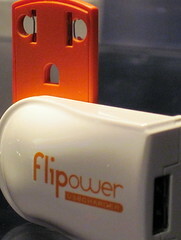 The charger pulls juice from the prongs plugged into the outlet then swivels for easy access. Innovative, eh? So much so that it was one of the Innovations Honorees at this year’s show. 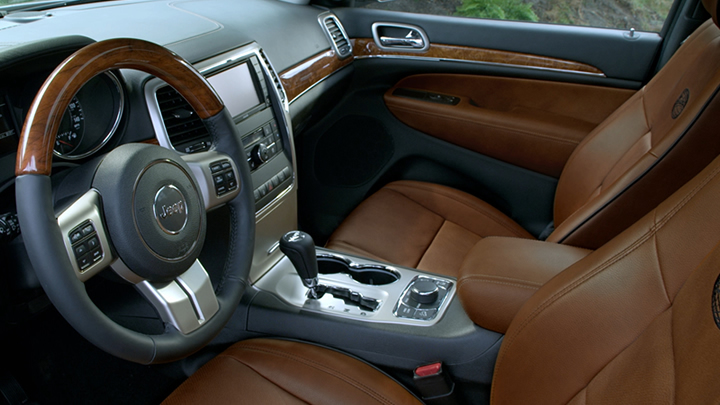 The manufacturer hopes to have these in retail channels by the second half of 2010. 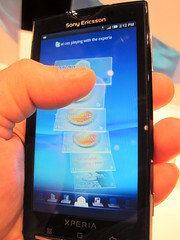 The Sony Ericsson Xperia X10 is a beautiful, thin Android phone with an insane display resolution of 854 x 480. The interface is fluid and responsive, and the device itself fits perfectly in your hand. Communications—calls, messaging, and social media updates—are aggregated in single, scrollable timeline. Its 8.1 megapixel camera includes smile detection, flash, and face recognition software, and the media applications are just gorgeous. It uses removable microSD cards for up to 16GB of storage. But don’t go stand in line at your local wireless service provider just yet—this baby is only going to be available through Rogers in Canada. 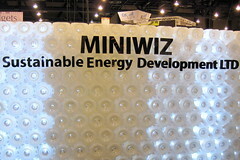 MINIWIZ built its booth with POLLI-Brick—a recycled polymer structural block created from old plastic bottles that are reformed into interlocking blocks. These blocks are fitted together and UV coated to provide a translucent, insulated curtain wall. Installed solar LED lighting adds ambient light to the space and a pleasing visual effect. It’s not just a concept. 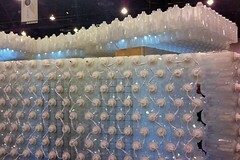 POLLI-Brick is being used in the construction of a new building for the 2010 Taipei International Flora Exposition. 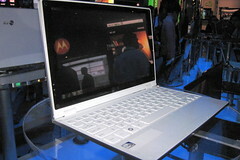 LG’s X300 is a very thin ultra-portable PC with an 11.6″ display, a 2GHz Atom processor, and SSD storage. Built-in 3G, WiFi, and Bluetooth enable online access and synchronization, including specialized software that allows you to sync and reply to text messages from your netbook. When can you expect to find this on shelves? Uh…. 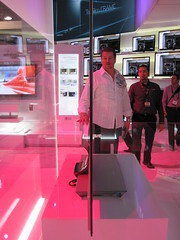 Plenty of folks have been showing thin TV prototypes for the past few years at CES. And while last year LG was demonstrating small OLED TVs on flexible substrates, this year it’s about more practically-sized thin LED displays. Their thin LED TV prototype is so thin, you may be wondering where it is in this picture. It’s the vertical black line dead center—too thin for me to focus on it. The image on this 55″ display was bright and vibrant, but most people were mesmerized by the side angle view, as in this photograph. Don’t have power on the wall where you want to mount your TV? No problem. DATACOMM’s innovative Recessed Pro-Power Kit with Straight Blade Inlet lets you connect power and media cabling to your TV through the wall. At first glance, this looks a little frightening, but that male plug on the lower plate isn’t hot—it’s basically just an in-wall extension cord. 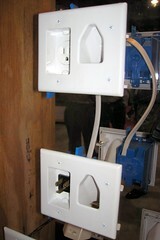 The plate with the outlet goes on the wall where you plan to mount your TV. Then install the plate with the male plug near your equipment and plug it in to your surge protector or power conditioner with an ordinary heavy-duty extension cord. 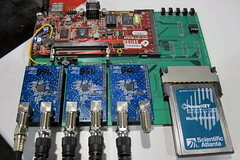 Of everything at CES this year, my favorite product, by far, is SiliconDust’s breadboard prototype of the HD HomeRun CableCARD TV tuner. These guys already make one of the best home theater devices available—a network-based ATSC and QAM tuner that works on nearly every HTPC platform, including Sage TV on Linux, EyeTV on the Mac, and Media Center on the PC. This new CableCARD product will split a single digital cable input, decode it based on your subscribed services, and distribute the two signals to Windows 7 Media Center PCs in your house over your wired home network. And they expect to have a product on the market by the second half of the year, at a price point under $250. That’s two networked tuners for about the same price as ATI’s single-tuner CableCARD decoder.